The cigarettes that are detrimental to your health are also littering Arizona freeways, creating eyesores, leaching chemicals and causing a fire hazard. Cigarette butts account for more than 40 percent of the litter tossed on U.S. highways, according to a national study by Keep America Beautiful. Cigarette butts contain 165 chemicals, including arsenic and lead, according to Don’t Trash Arizona, a litter awareness campaign from the Arizona Department of Transportation and Maricopa Association of Governments. Tom Waldeck, the president and chief executive of Keep Phoenix Beautiful, said still-smoldering cigarette butts also pose a threat in the dry Arizona heat. Besides cigarette butts, highway litter comes from improperly covered truck or cargo loads and motorists’ paper and plastic, the national study said. Arizona drivers too often use the roads like a drive-through landfill, throwing out their cigarette butts, the paper cup with the foam from their vanilla latte still at the bottom, the ketchup-stained bag with the remains of their burger and fries, anti-litter advocates said. But that laziness costs taxpayers who are paying for cleanup. “It’s a very expensive undertaking for the state,” Bernstein said. 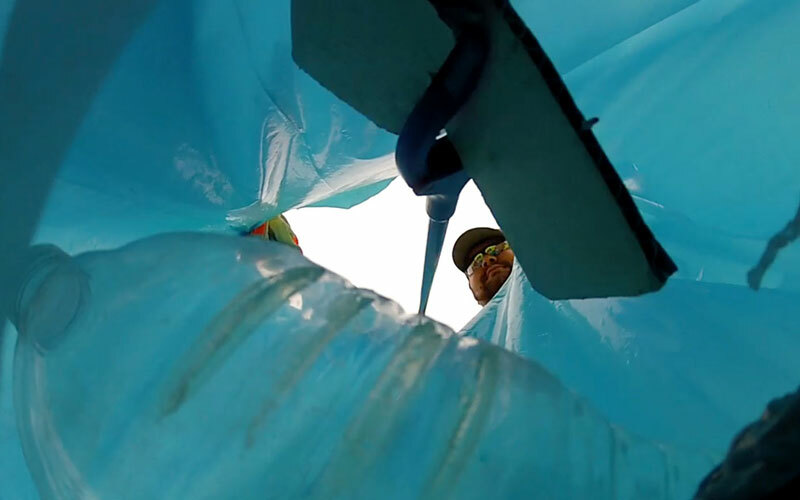 According to local government officials, it costs around $3 million a year for government workers to clean up and process litter along Phoenix metro freeways. 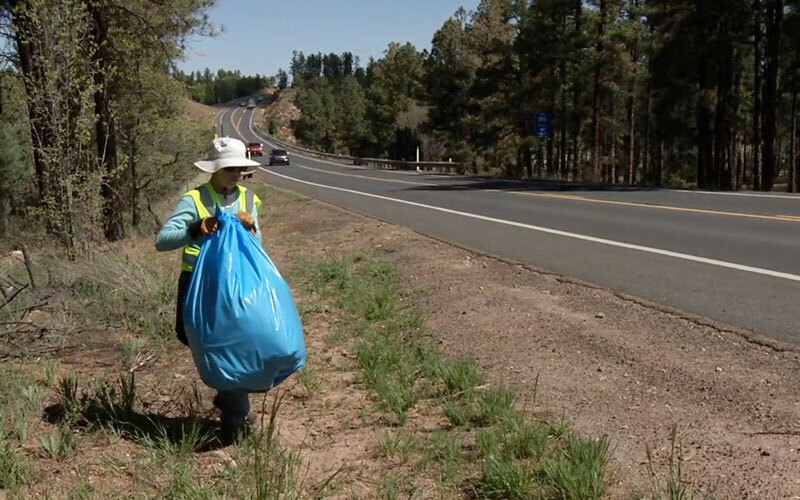 That doesn’t include the many volunteers or organizations that sponsor cleanups, according to Patricia Powers-Zermeño, program manager for ADOT Adopt a Highway volunteers. It also can be costly to those who litter. Anyone caught by law enforcement tossing litter from their car can face a misdemeanor fine of $500. Arizona residents can learn about the consequences and costs of illegal dumping, the benefits of recycling and other environmental efforts by local governments and nonprofits during monthly road shows by the ADOT, Keep Arizona Beautiful and the Arizona Department of Environmental Quality. Contact any agency to request a roadshow. To report an illegal dumping sighting or for more information on how you can book an environmental resources roadshow in your neighborhood, go to www.kazb.org.